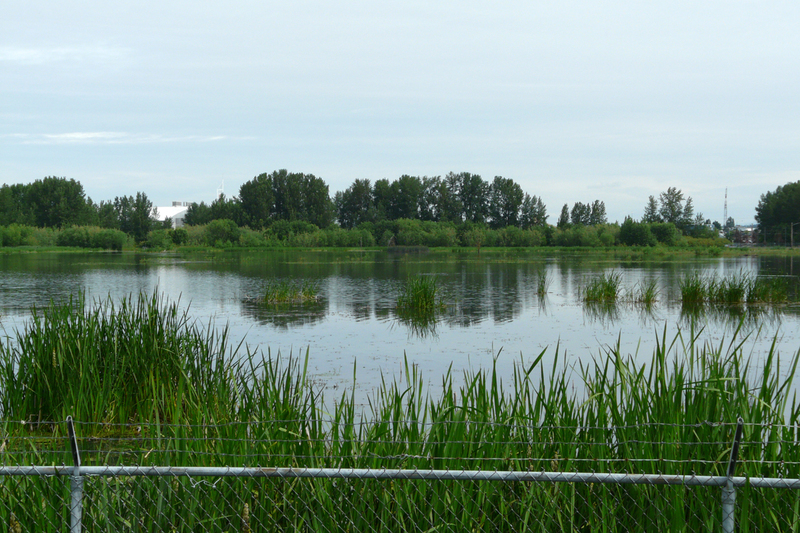 Vanport Wetlands, in north Portland, is an unassuming little site next to an off-leash dog park. 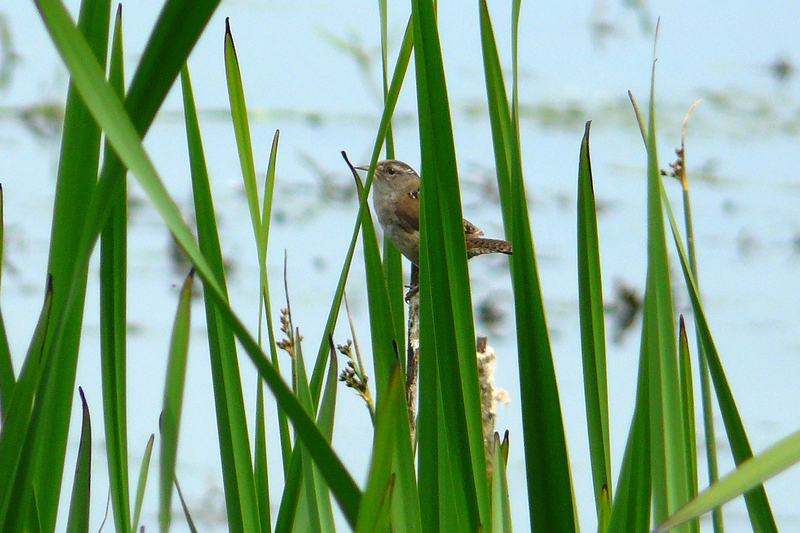 A chain-link fence surrounds the property, so most views of birds are distant. 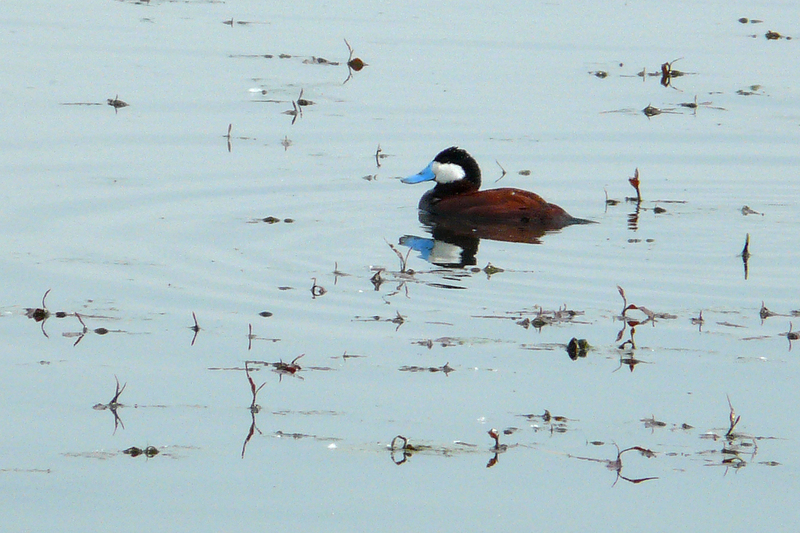 Despite the small size and limited access, Vanport almost always hosts some interesting birds. 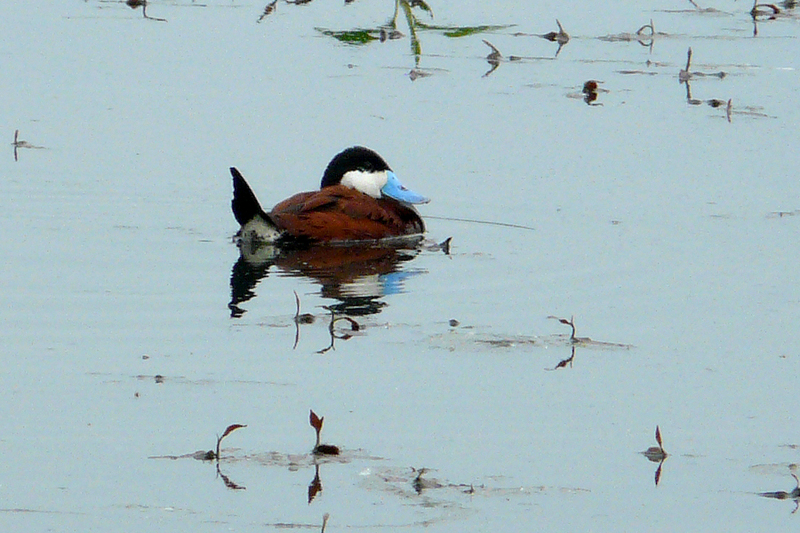 The Ruddy Ducks are sporting their breeding plumage. 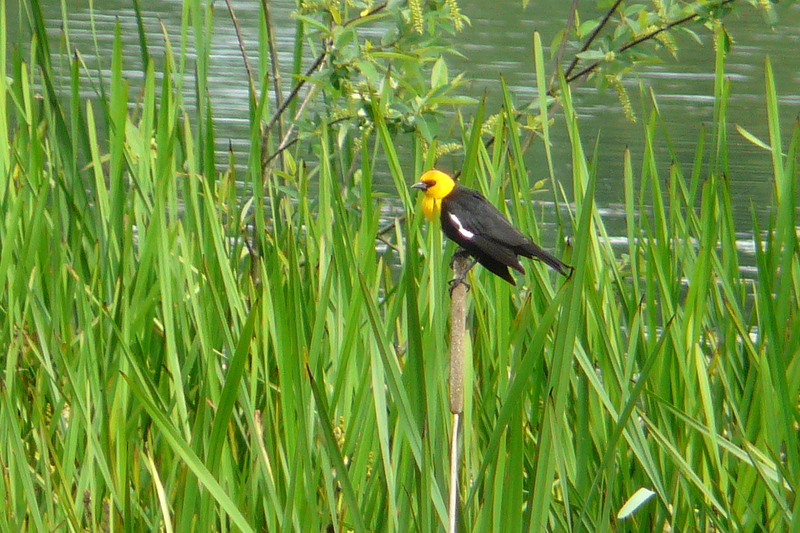 Vanport is the only reliable site in Portland that I am aware of that hosts Yellow-headed Blackbirds. 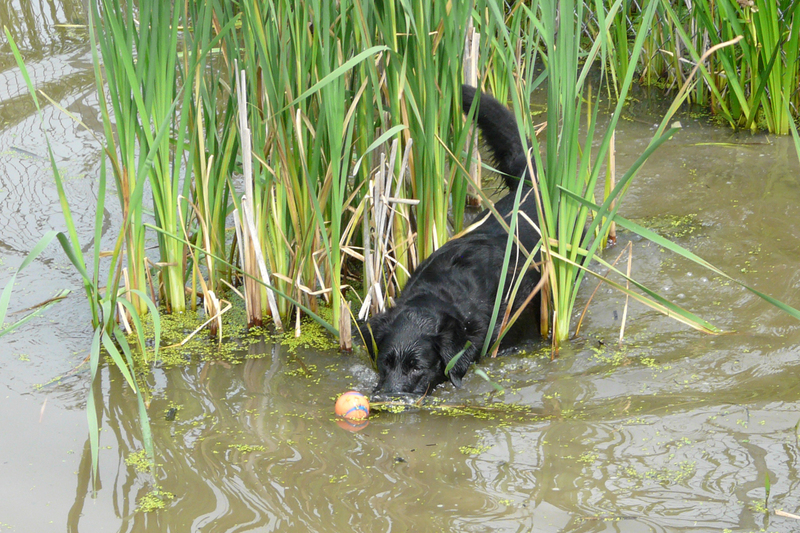 Nala, the Swamp Thing. The water currently extends beyond the fence, providing a place for dogs to play without disturbing the birds swimming nearby. 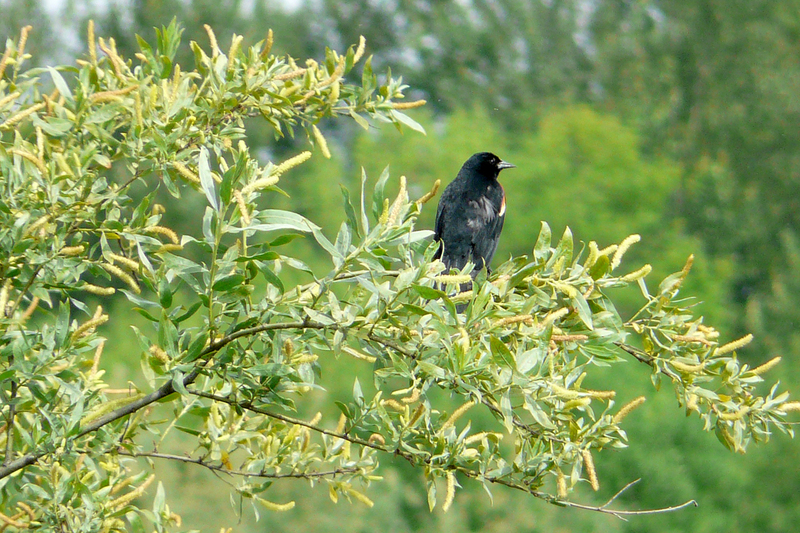 This entry was posted in OR Birding Sites and tagged Marsh Wren, Red-winged Blackbird, Ruddy Duck, Vanport Wetlands, Yellow-headed Blackbird. Bookmark the permalink.